It all started at 2 am on January 5, 2016 when I started feeling really uncomfortable. I hadn’t slept for the past 48 hours, so I was hoping I’d just be able to go back to sleep. Nope, our baby girl decided she was ready to meet her parents, I just didn’t realize it. From 2 am to 5 am, I just kept running to the bathroom every 20 minutes, then 10 minutes, because for some reason my instincts were telling me to just sit comfortably on the loo because that was the most comfortable position for me to be in during my surges. My husband just kept laughing at my process of dealing with labor. It was pretty hilarious and we couldn’t help but crack up as I’d run there. It seemed pretty ridiculous and not ideal. Apparently I was doing something right because later on I found this article explaining my method further (see Sameer?!! I am not insane!). I should also mention that hours before I started getting my first contractions, my body cleaned itself out (a sign that labor is near). I started to freak out because I had an irrational fear that maybe the baby was in trouble and she was trying to tell me something. I still didn’t know I was in labor, my only thought was if the baby was okay or not. We called our doula at 5:30 am and told her I’ve been feeling uncomfortable at regular intervals, she said I was most likely in labor, and she came right over. 6 am: My Doula aka savior arrived. From the moment she confirmed that I am indeed in labor and that what I am feeling is normal, I INSTANTLY relaxed. It was game time. I now realized that I just need to let my body and baby do their thing. My doula guided me with breathing techniques through each surge. My discomfort vanished. There was no pain, I went into a deep trance, and everything was a blur. The only thing I was feeling was exhaustion from lack of sleep, so I took a shower. It was exactly what I needed; I felt refreshed, recharged and ready to welcome my baby. Later on as the surges kept coming closer and closer, I couldn’t think of my own discomfort when my baby was doing all the hard work in trying to make her way to me. Maybe she’s scared, and so she needs to arrive at a safe place. I knew everything that was happening was normal, and as long as I continue to stay calm, I won’t be releasing catecholamines (stress hormones) that interfere and slow down the process. I want the baby to come to a happy mommy who is in complete control. Along with deep breathing, this thought process is what made my pain completely disappear. I never want my baby to think that she caused me pain, because she hasn’t. She is trying to come as fast as she can to me, and it’s my job to make her journey as smooth as possible by just letting her work with my body. Later on, my doula asked if I was bleeding at all; I was. She saw how much and said that was a great sign and means I am dilated enough to get going to the hospital. We grabbed our bags and off we went! The car ride was a complete blur. I remember Sameer was trying so hard to be careful about every bump and turn on the way to the hospital, but I couldn’t have cared less about any disruptions because I was completely in a trance (or half asleep). I’m pretty sure he was freaked out I was going to have the baby in the car itself because I was apparently very close. We arrive at the hospital, and I understood why people say to labor as long as you can in the comfort of your own home. The bright lights and the cold triage room made me feel uneasy. My trance was broken as I was stripped to a hospital gown and was checked to see how dilated I was. That was the only incredibly painful part of labor & birth for me– I felt like I needed an epidural for just getting checked! I didn’t want anyone interfering with what was going on, I was in my own world. I was told that I was 6 cm; I freaked out and started to doubt myself, wondering how I would handle birthing her if I couldn’t even handle being checked. Then I realized that it was because I tensed up at a process in birth that isn’t technically natural. I then resumed into my state of hypnosis and my doula asked someone to check me again 10 minutes later. I was now dilated at 9 cm! We then entered the delivery room, where we waited for me to dilate that last 1 cm. The room was filled with sunshine with a coveted view, but I remember learning that melatonin synergizes with oxytocin to enhance labor contractions and move labor along (it’s the reason why cats and other animals usually like to be alone and in the dark to give birth). So we made sure the shades were drawn and lights were kept off even in the delivery room. My doula had an LED candle for ambience, incorporated aromatherapy, massage, and slight acupuncture to create a relaxing environment in a hospital room. She even fed me honey sticks & peppermint to maintain my energy levels since I was practically half asleep throughout labor. at 1:18 pm Our darling daughter, Sareena, arrived into this world. She weighed 6 lbs and 12 oz, measuring at 19.5 inches. She was immediately placed onto my chest for skin to skin contact, where my husband and I were in such awe of her beauty and chubby cheeks. A daughter, mother & father were all born on January 5, 2016. We are so madly in love with Sareena, she is the best thing that could have ever happened to us. You handled the whole birthing experience like a total rockstar and I’m so proud of you. Even the doctors and nurses were amazed at your strength and determination to have the birth you’ve always wanted. It’s amazing to think that just a few hours ago, that little beautiful person was inside you and now here she is right in front of us. I admire your courage and determination; even throughout postpartum healing you’ve been an absolute goddess. You are the best wife and mother a husband and child could ask for. I love you so much my best friend, soulmate and the mother of my child. I choose LOVE. This is my baby’s birthday. Today I will put my needs, my desires, my hopes, and my feelings on hold so I can concentrate on giving my baby the birth she needs. I choose JOY. I will not give into temptation to wallow in self pity. I will celebrate each contraction as one step closer to holding my baby. I will remind myself that this is the event I have waited for a long time. I choose PEACE. I will not battle my body or my baby. I will simply allow my baby to use my body as an entrance point for life. I choose PATIENCE. I will overlook the inconveniences of labor. Rather than complain that the wait is too long, I will be thankful for the time to savor this change in my life. I will use this time to put my heart and mind in a state of joy to meet the baby. I choose KINDNESS. I will be kind to my baby. She is alone and may be frightened. I will not allow myself to benefit by putting her at risk. I choose GOODNESS. I will not let myself give in to the temptation to use labor as an excuse to be rude, angry, mean, hurtful, lazy, or prideful. This is my first opportunity to teach my baby about relationships. I choose GENTLENESS. Nothing is won by force. If I raise my voice, may it only be in praise. If I clench my fist, may it only be in prayer. If I make a demand, may it only be of me. I choose SELF CONTROL. I will not allow myself to lower my standards simply because I am in labor. I will continue to strive for excellence regardless of the pain. Note: I am not judgemental or against anyone who had a c-section or epidural. Not everyone has the same knowledge, awareness or maybe even desire to achieve a drug free natural birth. 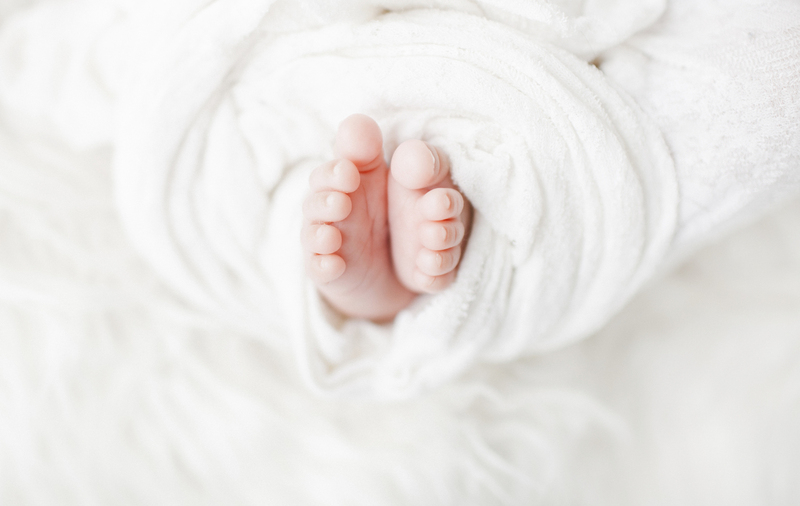 The benefits of a natural birth are endless compared to their medical counterparts, but sometimes medical interventions become necessary and I am SO thankful for these advances to ensure everything happens safely in the case of a complication. 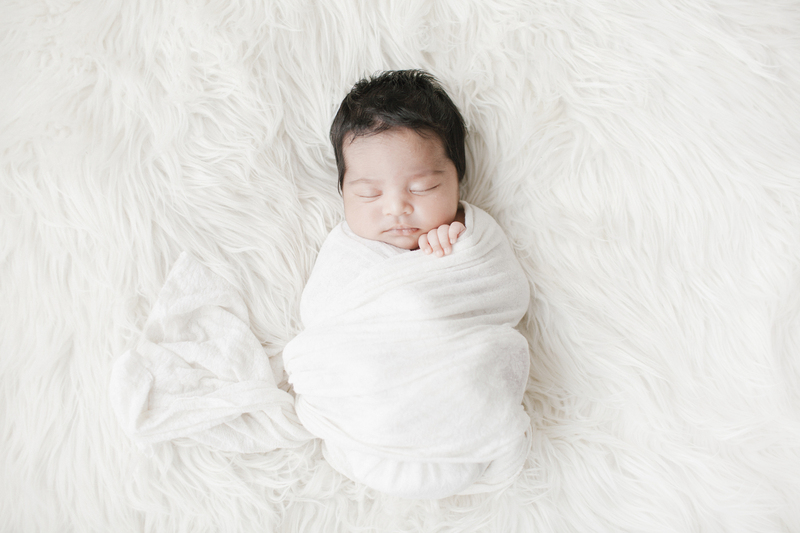 Personally, I had an overwhelming desire to avoid any intervention and let everything happen naturally because it was something important to me considering all the long term benefits for the baby. If you ended up needing any medical interventions for whatever reason, my heart goes out to you. All birth is beautiful and strong. I just hope someone gains encouragement from my experience; because hearing positive experiences is the first thing that helped me in achieving a natural birth. Sounds like you had a wonderful birth just the way you wanted. Congratulations on a healthy and beautiful baby girl! Absolutely beautiful post! Thank you for sharing this miracle with all of us Looking forward to more posts from you Happy mothering! What a lovely post! This pictures are so beautiful! OMG! Congratulations gorgeous! She’s beyond beautiful❤️Breathtaking. You three look amazing! Thanks for sharing this beautiful experience Shveta! Such a beautiful story and family! Your baby girl is precious and I love the name. Congrats to you and Sameer on the newest addition to your family. Oh congratulations to you and your husband! You sound like you truly were a total rockstar while giving birth. I’m so impressed with your mindset throughout the whole process. And your little girl is beautiful! Oh what a beautiful baby. I am so happy for you and your stunning family. Congratulations! Shveta, your little family is amazing! Your beautiful daughter is just absolutely gorgeous. All your readers wish you love + happiness! Congrats! Such precious photos. You have a really beautiful family! Wonderful experience! I love the way you recapped everything- your daughter will find the words so informative and touching when she’s old enough to understand. Your doula sounds like a fantastic addition to the experience, and I am even more encouraged to use one when my time comes. Thank you for sharing this with us! Aww thank you! Yes I absolutely recommend a doula! these pictures are perfection! gorgeous family! Such a wonderful post, love! Congrats on your most precious baby! Your birth story brought back memories of my own child birth, to my now, 4 year old son. I really had tears coming down my face – your story really touched my heart. I can;t believe that you only pushed for 7 minutes! That’s incredible! I’m so happy and proud of you! 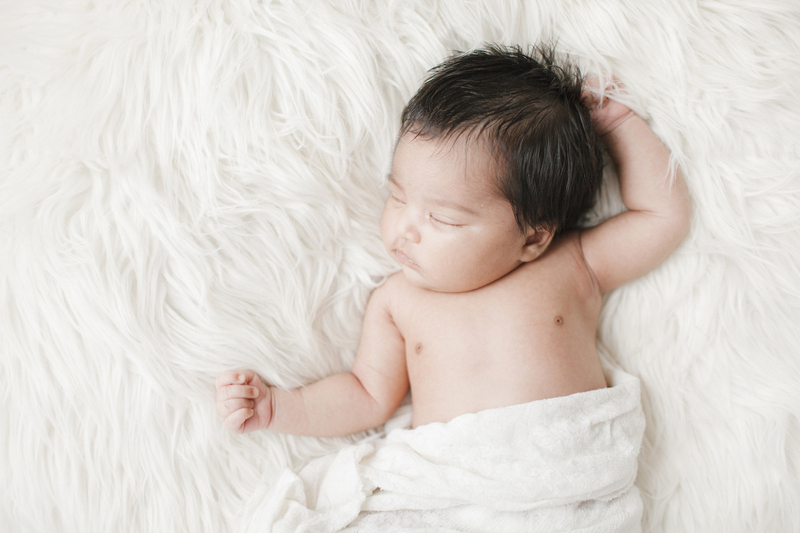 May you enjoy the newborn phase because they do grow so fast! Sending much love your way to you and your beautiful family! Such a cute baby!!! Congrats for welcoming new family member!! What a gorgeous family!! Your little bundle of joy is adorable. Congrats babe! Amazing post! Love it! Wishing you a very happy and relaxing weekend! Congratulations! She is absolutely beautiful!! I’ve never heard of hypnobirthing, but it sounds like an amazing technique. I’d definitely like to try that when I have a child. This was such a beautiful read. I wish you all the happiness in the world!! What an incredible story. I’m so impressed by you and your strength! Congratulations to you and your husband on baby Sareena, she is a little doll. Shveta, thank you so much for writing this post. It’s so heart-felt. And now I know what kind of things I should think of when giving birth..whenever that happens ;). Amazing story. Sareena is so beautiful! That hair! I’m so happy for you and your husband. What a beautiful little family you’ve created. Sending lots of love. This is such a beautiful article and I read it in a heartbeat! I really hope that when we will be blessed I’ll have same knowledge, confidence and be as calm as you were! Your daughter is very beautiful and I wish her all the love and happiness in this world! I’m sure she will be stylish little princess as her mommy! Congratulations to you and your beautiful family! Wow! I can’t believe the strength you showed throughout the entire process. But then I remember you were doing it out of love for your baby. She is such a beauty. You two are very blessed to have her. I’ve never really heard the story of a doula birthing process. It seems so personal and more natural than I realized it could be. I am in awe of the level of concentration you were able to muster in such an arduous situation, but I’m sure you had plenty of practice and preparation. It was so funny hearing the toilet story and how you both were laughing before you went into labor. Maybe it was a sign of the type of person your baby will be and the life she will have. I hope so. Good luck to you all! Also, love the natural light in all these photos. Stunning! What an incredible story, Shveta, so beautiful. I’m so glad everything went well, and that you had such an incredible support team holding your hand through it all. Your daughter is an absolute doll, so so beautiful! I can’t wait to see more pictures of her dressed up like the mini fashionista she is sure to become. Sending so much love your way! Shevta this story is incredible! Huge congratulations to you and your husband on Sareena’s arrival- what a beautiful little girl! The way you handled the birth with such peace and trust was really inspiring! It sounds like you stayed so strong and were so positive and confident during the process The words from your husband as so touching too! Thank you for sharing your beautiful birth story. Your daughter is beautiful. These photos are so beautiful and precious. I’m so happy for you and your family. Beautiful photos of you and your family! Congratulations to you and your husband, what a blessing. Omg, amazing story, lady. Thank you for sharing it + these pictures- gorgeous family! Oh and these photos are so beautiful and perfect! This is amazing Shveta ! I really enjoyed reading this post and those pictures are super cute ! I’m so happy for you, Thanks for sharing ! Congrats pretty momma!!! Thank you for sharing this beautiful story! I’m not a mom yet but your article somehow made me come closer to the thought of becoming one! This is described so beautifully and how gorgeous is your family! That little angel has my heart Shveta! Many Congratulations on the birth of your joy and happiness for many many years to come Hope you two are doing great, you look as radiant as ever! Take care! This is beautiful! I teared up reading this! Beautifully written and you are such a strong momma! I also want to thank you for writing the disclaimer at the bottom of the post. Some mom’s tend to be more sensitive to the topic and feel like they did something wrong if they went a different direction. You heart is so beautiful and your little girl will reflect your character and strength. I just love seeing your gorgeous pictures!